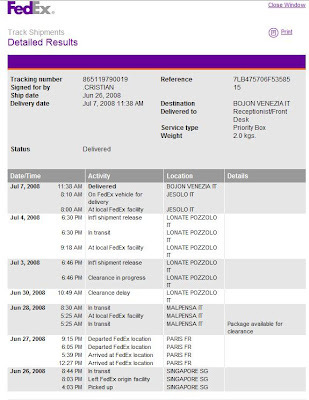 Well things did not went smoothly with the Fedex shipment to Italy. The shipment was delayed for a long time. Since we both felt that Fedex had done a bad job with such a delay, Cris proposed that we call Fedex to negotiate for a refund and I agreed, since they are charging USD$105 for priority package that took 12 days to reach, its definitely unacceptable. And as I understand from Cris, priority packages from Asia usually take only 2 to 3 days. I then called Fedex and got them to open an 'inquiry'. The Fedex guy called me back an hour later and said that the delay was due to customs hold up. They would only issue refunds if the delay was due to their mistaken, eg. sending to a wrong address, or due to bad weather, etc. So we don't quality for refund claims. 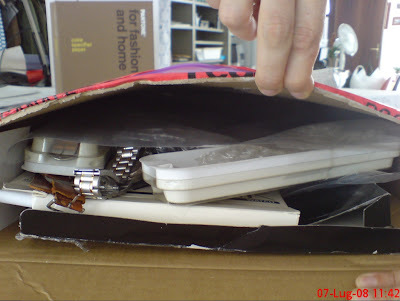 Fedex guy also said the Italy customs were suspecting the value of these watches were under declared so they wanted Cris to verify and asked for documents to be faxed to them. Cris told me he had to fax the documents 4 times, because they lost the documents the previous 3 times! Finally I have to say, that is a pity that also the private courier must pass through the natonal custom, that remember me the Stalinist method.... or maybe worst. 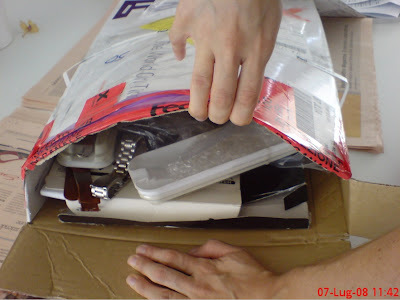 TH Fed EX service was very bad, I ahve call ten or more time and they always answer me with this very annoyed tone, as they are soooooooooo tired! I think Italy is now a non-free state where the single private transaction must see as a fraud. I'm not happy to live here. Don't feel this way Cris, sometimes I wish I live in Italy rather, land of culture, music, arts and literature, instead of Singapore.